There has been something nagging at me for a while now, and i’m afraid this is going to be a bit of an enormous blog because I just don’t know how to say it. So we’ll see. A few months ago, when writing the Policies and Expectations for KidStuff Childcare, I wrote a section specificaly about discipline. Many of the workers were having trouble knowing exactly what they were allowed to do, what was beneficial to do, and how to do these things. In writing, I thought about a framework that would be (hopefully) more helpful than a set of guidelines (though I ended up providing both). One of the major tennants we try to teach all KidStuff colunteers is that we are not teaching kids rules or morals, WE ARE GIVING THEM THE GOSPEL. And that seemed like something we should be giving everyone, all the time. We should be playing, and giving kids the gospel. We should be watching movies while giving kids the gospel. We should even be giving kids the gospel when we discipline them. and….how do we do that? Everything we do says something about what we think about Jesus. I am not the first to think or say so. Paul told us to do EVERYTHING as though for the Lord. So if we’re playing, and we make sure to include everyone and play with integrity, that’s teaching kids about the Gospel – about loving our neighbors, hating evil, and rejoicing in truth. And we don’t just DO these things, we tell the kids “We are going to play a game with everyone, because we want to love our neighbors like Jesus told us too. We want to love them by including them!” When we watch movies, we ENGAGE with the kids – phones away, paying attention to the movie’s plot and the kid’s needs. A child can tell (and enjoys) when you participate in the movie watching experience with them! What are we communicating about the Gospel here? That the kids are lovely and worthy of love because God made them WONDERFULLY, and that we see that about them! See, we just want to do EVERYthing in the way that most communicates to kids the way that Jesus sees and loves them! Somehow, I’d forgotten this in disciplining kids. I’ve told you before, I don’t like being in charge. And (though far less often as my tenure here extends) when I am in charge, I’m less comfortable – I stress (NOT A HOLY REACTION) and want things to be perfect. I check, probably too often, on teachers, crippling them from the chance to grow in adversity (rather than equiping them to problem solve and work things out on their own). And when it comes to calming down a room – I put on my “in charge” face, and speak in my “in charge” voice, and effectively communicate the following: Not listening/obeying will bring serious consequences and affect (negatively) how I feel about (because it changes how I act toward) you. UGH. NOT THE GOSPEL! NOT HOW GOD WORKS! NOOOOOOOT WHAT I WANT KIDS TO BELIEVE ABOUT HIM. 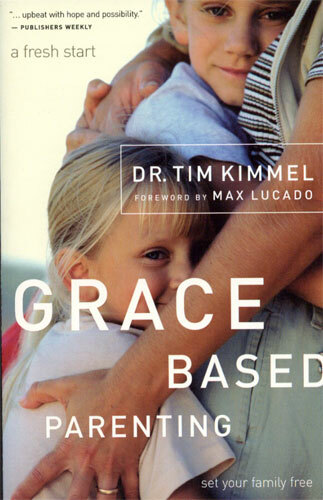 An EXCELLENT resource on grace-based discipline as well. It just so happens that while I was writing all this, I was having a particularly hard time with a couple of my most common childcare workers. They just didn’t have the attitudes and work ethics I was looking for in this ministry. But I’d chided them a few times, I’d brought up the issues, and I hadn’t seen any change.I prayed about it because I was afraid of confronting them. Because I was afraid of how it might affect me. (Dear me, how ashamed I am even now thinking I’d have been kinder in the past when wrangling children if I’d thought they held some power over me. It makes me cringe to think these small human beings are treated as ‘less’ simply because they hold less power over others). But God is good and uses all things. So He used this. I saw that the best way to handle the workers was the same as the best way to discipline: by giving them the Gospel. The workers I’ll tell you about next time, but discipline became WAY easier to describe. We disicpline the way God does. Lovingly. Kindly. With grace. With appropriate consequences NOT TO PUNISH but to TEACH. We want do so CALMLY, to show the kids that while their actions may need to change, our feelings for them will not. We do so joyfully, self-sacrificially, taking the time and effort to pour into their hearts and look into their eyes and patiently explain that no, they may not spit on their friend’s neck, but they may choose to play without spitting, or to take a walk outside to calm down. We do not get annoyed (out loud 😉 when kids persist in the same defiant actions, but we do explain why they are inappropriate, and change the consequence as best communicates the gospel. This o is harder, more complex than my initial understanding of having three rules, three consequences, and an attitude that instills the fear to accomplish these easily. I know because I’ve done it both ways. But the Gospel way is better. The Gospel is always better. In keeping with these ideals, KidStuff is having a mini conference with speaker Yancey Arrington on Feb 5th. Come hear more, or pray for us as we do.